Well-padded tailboard protection for pick-up trucks. Carries up to 6 bikes to protect them as well as the tailboard from scratches and damages during bike transport. 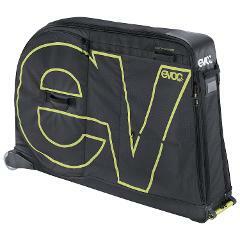 Need to hire a bike bag for an overseas trip? No worries. 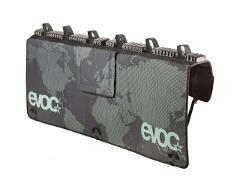 Our Evoc Bike Travel Bag Pro is MTB and Road Bike compatible. 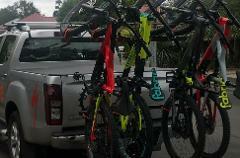 Need to hire a MTB Rack for your Tassie Trip? Crank-e's Shingleback Rack can carry up to five bikes with zero hassles! Flexible Hobart/Launceston Pickup/Drop-off. Budget Mates Rates available on Car Hire. Contact Crank-e for more info. Planning a group MTB trip to Tassie and need to hire a bike trailer? Crank-e's hassle free 10 Bike MTB Shingleback Trailer is perfect for the job. Flexible Hobart/Launceston Pickup/Drop-off. Budget Mates Rates available on Car Hire.